I occasionally shop in the pound shop in my local high street. My expectations of quality are not high so I usually limit my purchases to stuff like notepads, pens and a cheap pair of reading glasses to have as a spare. I certainly wouldn’t risk buying electrical items or power tools. So, why pay hundreds of pounds to a solicitor for a Will when you can buy a DIY kit on the high street for around a tenner or even free when you buy certain products on TV. 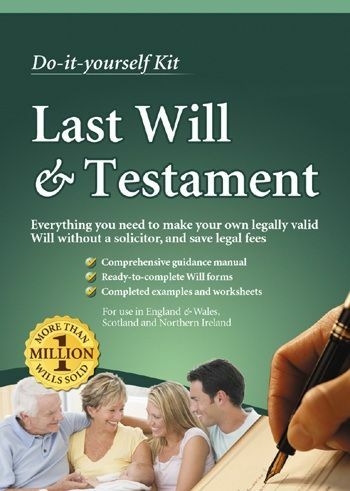 How much should a Will cost? When you instruct a solicitor you should be getting, in theory, someone with years of legal education and experience. You are paying a high hourly rate for a senior solicitor to craft custom legal clauses that apply to your unique situation. However, in my experience, your situation isn’t always that unique. Many people want to leave everything to their spouse/partner and, if something happened to both of them, to their children equally. A simple Will like this won’t require years of legal training. Even if the children are young and you need to create a trust and name a guardian, this won’t require sophisticated legal clauses. Most solicitors will use a bank of legal clauses, such as Parkers modern Will precedents, and simply copy and paste them. Often this job is given to a junior solicitor or office administrator. So let’s talk about the free or cheap DIY kits. The free kits are often not free. You need to enter your credit card information for a subscription which you can cancel within 7 days and not be charged for your document. I’ve heard from several customers who did this only to find the cancellation was not so easy and had several months of payments taken before they realised. It’s a business model that relies on busy people not noticing the payments and then only refunding the last payment when the disgruntled customer complains. Other Will kits are nothing more than a downloadable Microsoft Word document. This is no way to write one of the most important documents you are going to sign. There are way too many pitfalls with this approach. No plan B, no residual beneficiaries, no reserve executors or guardians, no trusts for minor children, no powers granted to the executor and trustee. The list goes on. Many are cheap online services that use interactive software that has no verification process. Ask yourself why these services are so cheap. Very often, the Will service is in the business model that uses the information that you enter for their own profit by selling the data. Funeral homes and insurance companies will pay a lot of money to be able to contact you. Like Facebook and Google, if you’re not paying for a product then, most likely, you are the product. I am clearly not a fan of cheap, or free, Will kits and, just like those electrical items in the Pound Shop, I don’t think they are fit for purpose. There are a lot of scams in the Will business. Not only the free Will kits that sell your details but also the solicitors who charge hundreds of pounds to do a 10 minute job. 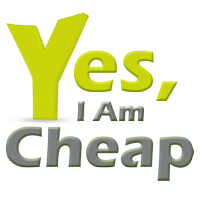 You shouldn’t be overcharged, nor should you underpay for a quality service. That’s not to say that you shouldn’t use a solicitor as I know several good ones. My advice is use a professional and, whoever you choose, ask if Will writing is their specialty. Ask how they keep on top of changes of things like the law, and whether they have had a claim of negligence against them (if yes, how many!). Do they understand Inheritance tax or care fees planning? Barnet Wills are more than just Will Writers. We’re Estate Planners. Estate planning requires asking lots of questions and pointing out different scenarios. What happens if you die and your partner remarries? Your children’s step-parent may be in a position to disinherit them. Remember Lynda Bellingham? This is just one of several ways your money could end up in the wrong hands, even with a professionally drafted Will costing hundreds of pounds. Barnet Wills is committed to safeguarding your wealth, for your children, your grandchildren or chosen beneficiaries after you are gone. To ensure that that you have the most appropriate and up to date planning in place call Barnet Wills for a free review.